It’s October and Halloween is coming soon! 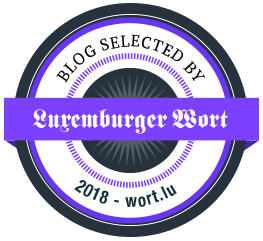 Halloween is a very fun holiday as we get to use costumes, eat candies and have parties, however, this holidays could become very fast too bad for the environment when we don’t take care of what we buy and how we buy it. So many Halloween decorations now on days are used only once and then they end up in the bin, not only that but costumes can be quite expensive and worn only one. So here are 12 tips to celebrate Halloween in a more friendlily way taking care of our planet but also our wallet. When you are looking to buying some Halloween decorations for your home or party look first at some natural elements, dried leaves, wooden sticks, branches, etc. This elements can help you get a very nice decoration for a small cost and without harming the environment. If you really need to buy some party supplies, try to buy some things that you can reuse for the next years such as fabric table mats, garlands, etc, felt, glass, cardboard, etc. 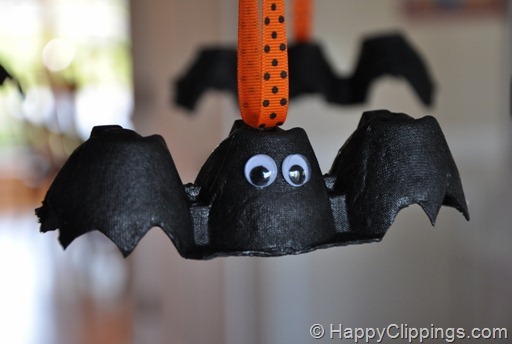 Here is a picture that shows a beautiful eco-friendly Halloween decoration. 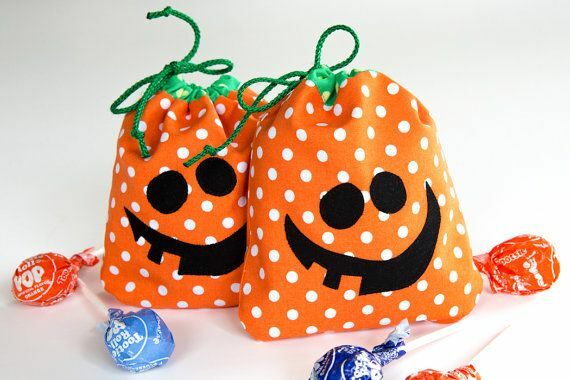 Instead of buying those plastic containers to go for “Treat or Trick”, why don’t you make them on your own with fabric, you could transform some old clothes or linens into beautiful treat bags, and even decorate them in an original way. Not only this will help the environment but it will also allow you to save space when storing them for the next years. Before buying a new costume, take a look at your closet or at some items you could already have at home and try to find something that can be easily transformed into a costume, with a little bit of imagination you can do wonders. 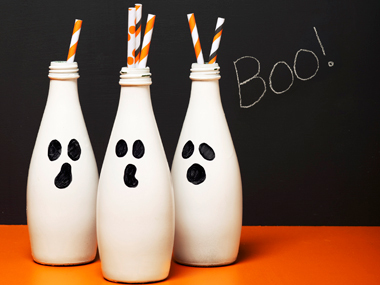 For some ideas take a look a my post: Eco Halloween Costume Ideas. As Halloween is pumpkins season you can profit from these and use these delicious fruits (yes pumkins are fruits) and decorate them before you eat them, or eat them first and then save the crust and use it as decorations. 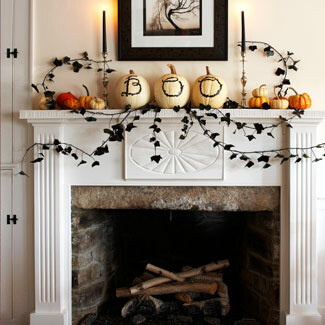 You can also decorate with other types of fruits from the Cucurbitaceae family such as squash, gourds, etc. Take a look at your trash bin to see if you can find any empty glass bottles, for example the wine bottles, vinegar bottles, etc. and transform them into something new and beautiful. 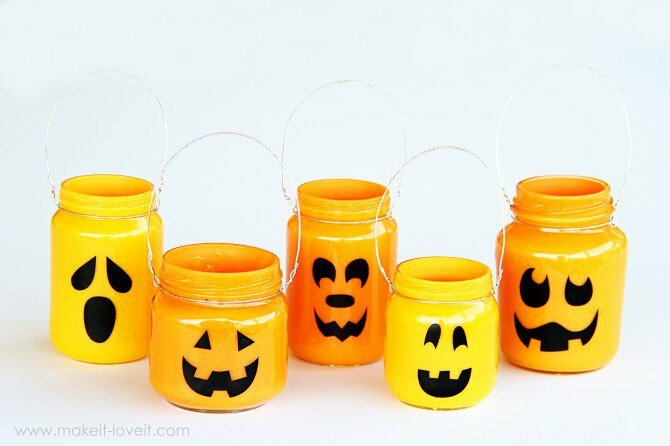 For example you could transform you glass bottles with a bit of paint into Halloween flower bases. 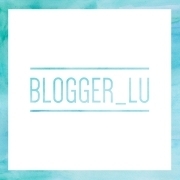 Take a look around your wardrobe and try to find some stuff that you no longer use or that you don’t like anymore, you could see for example at old socks, blankets, broken jeans, old T-shirts, etc. 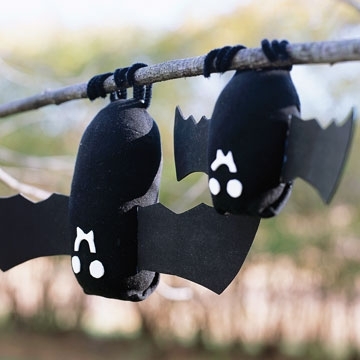 Create something new with them like for example garlands, napkin holders, favor bags, with you old clothes, or small bats or spiders with your old black socks. If you eat a lot of eggs at home, then start collecting the egg cartons from now so you have some material to create some beautiful egg carton bats. 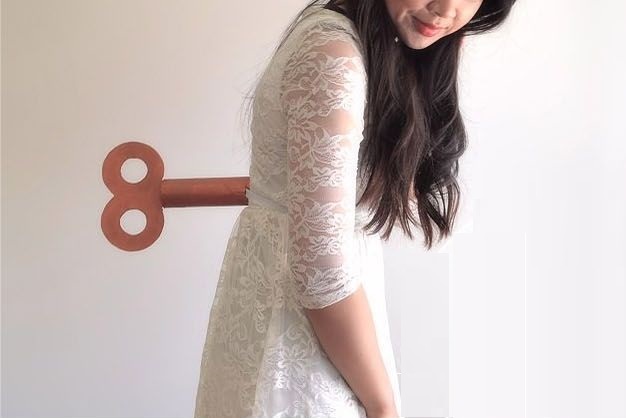 You just need some scissors, glue and paint. Take a look at the tutorial here. 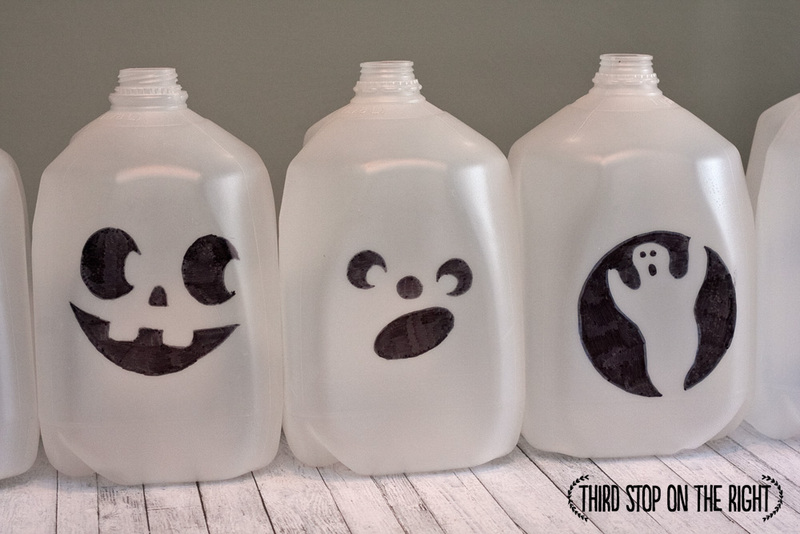 Collect your empty milk jugs for a few weeks and be ready to transform them into beautiful ghosts lamps. You just need some lights preferably solar lights, scissors and a black marker, you can follow the tutorial here. Remember to save the toilet paper rolls whenever your toilet paper is finished, this little carton cylinders are so useful, and Halloween is not the exception. 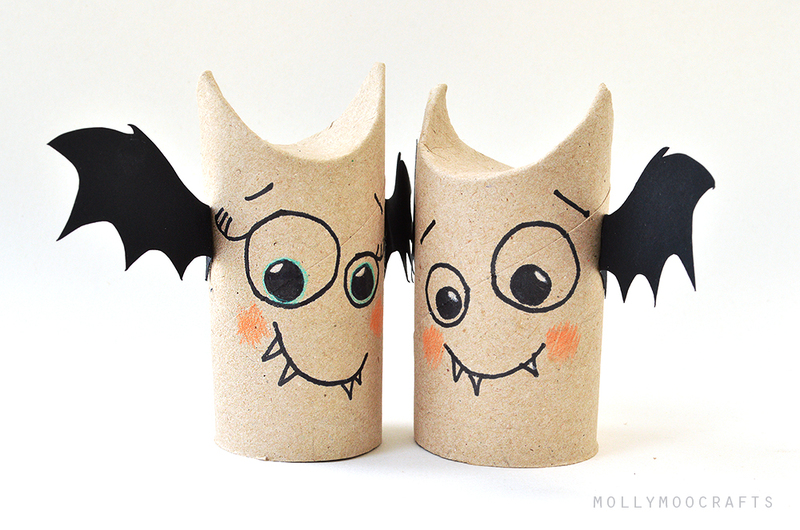 Take a look a this beautiful toilet paper rolls bats for inspiration and try to make some on our own, you can find the tutorial here. 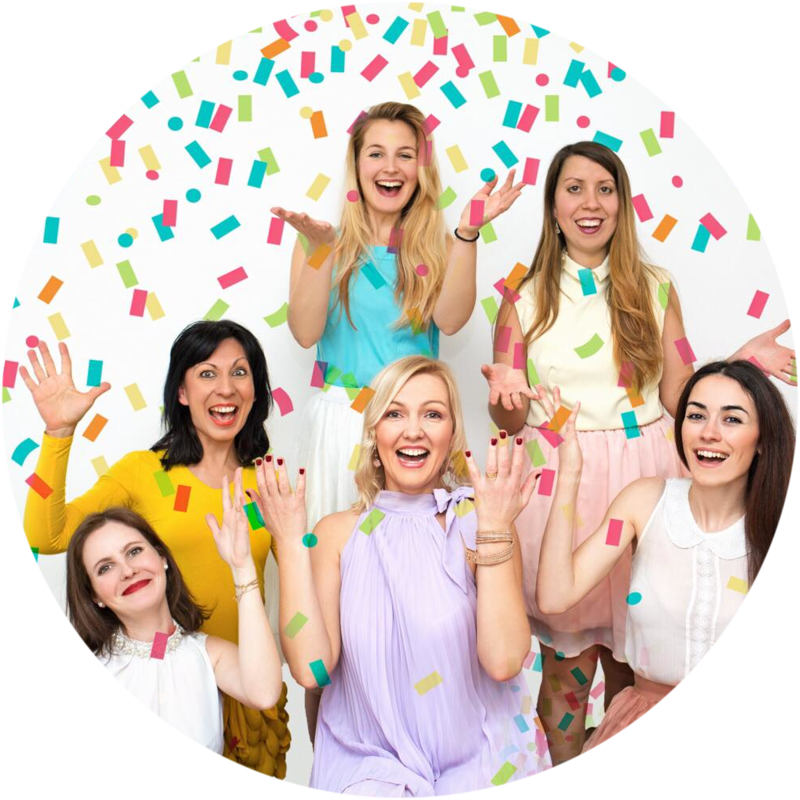 If you are planing to make a party try to create an online invitation. If this is not for you then you can either try to make your own invitations with recycled materials such as cardboard or buy some eco-friendly invitations. 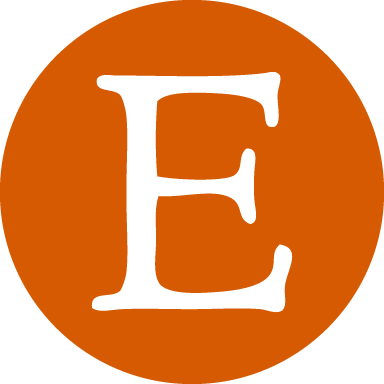 Etsy has a big variety of them for example. Remember that invitations are only used once so its better to help our environment by trying to get them from recycled materials. Finally there is a use to all those bottle taps that are left every time you drink a glass bottled beer or soda. Bottle taps among other uses can be transformed into beautiful magnets to decorate your fridge or bulletin board. 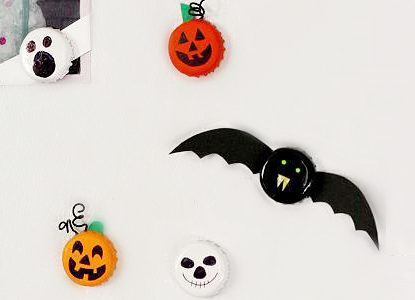 Simply follow the instructions here and you will get some beautiful Halloween magnets.